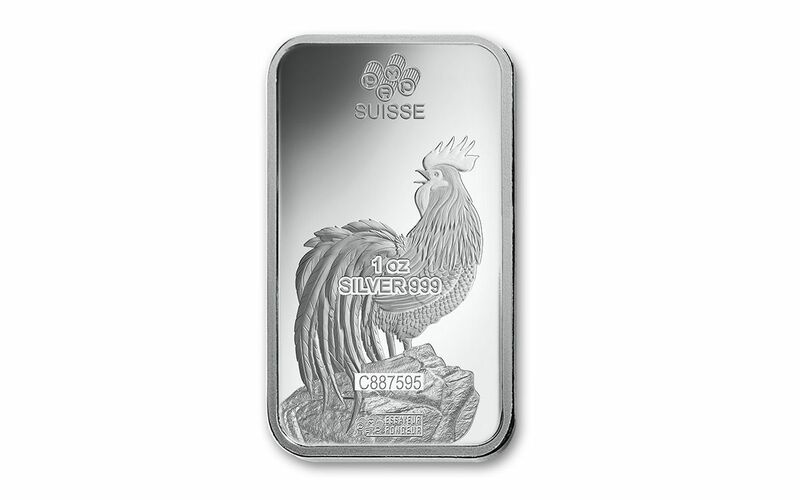 A Rooster Walks Onto a Bar. . . 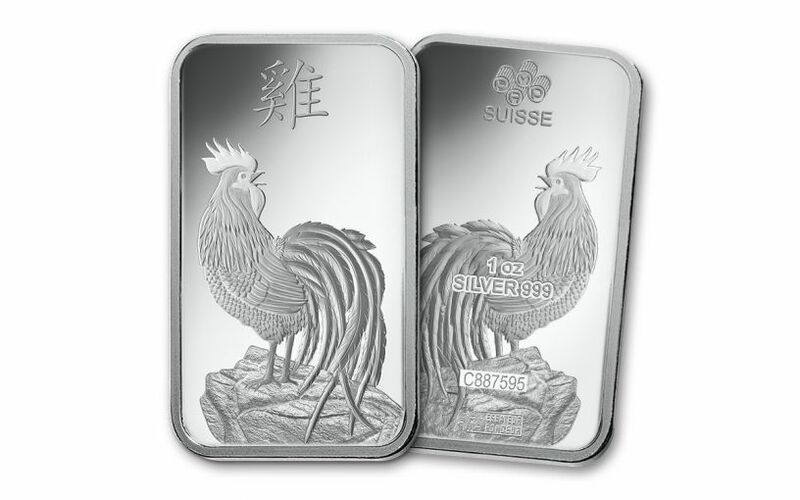 These incredible 2017 one ounce silver ingots commemorate the Year of the Rooster, an important part of the Chinese Zodiac. 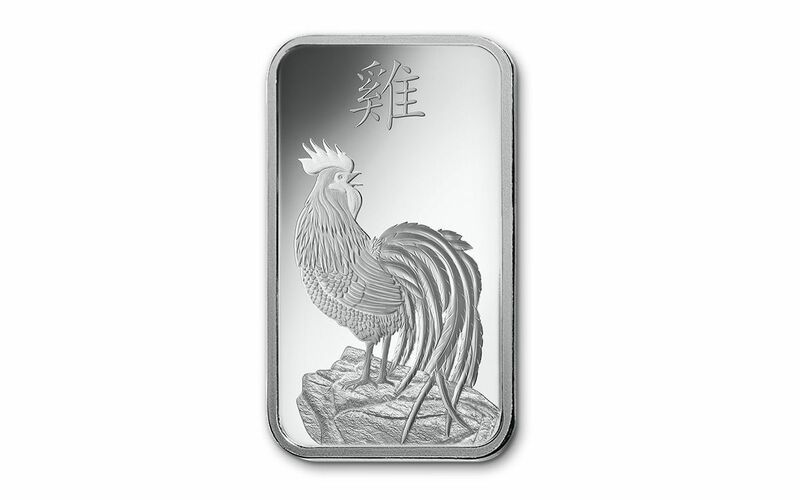 These beautiful bars come struck in 99.9% gold, and are the perfect addition to your Chinese Zodiac collection. They also make great gifts for anyone born in 1933, '45, '57, '69, '81, '93, '05 or 2017. Order yours today!